The 1995 NBA Finals was the championship round of the 1994 – 1995 NBA season. The series pitted the Orlando Magic against the Houston Rockets. 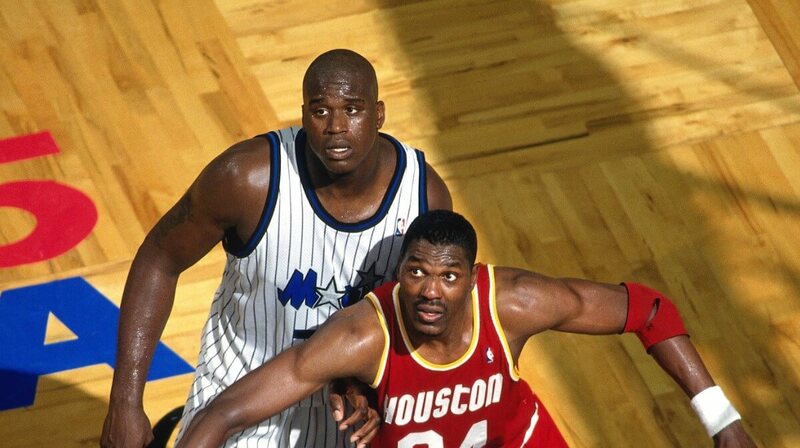 The pre-series hype and build-up of the Finals was centered on the meeting of the two centers Shaquille O’Neal of the Magic and Hakeem Olajuwon of the Rockets. Going into the series the matchup was compared to the Bill Russell-Wilt Chamberlain matchup of the 1960s. In addition, the Rockets’ sweep of the Magic was unique, in the fact that it was a “reverse sweep,” where Houston won Games 1 and 2 on the road and 3 and 4 at home. It was also the second NBA Finals sweep in the 2-3-2 Finals format. The Rockets also became the first repeat NBA Champion in history to keep the title with a sweep. In addition, the Rockets became the first team in NBA history to win the title without having home-court advantage in any of the four playoff rounds since the playoffs was expanded to a 16 team format in 1984.